A polydec, or polyhendecagon, is a figure formed by joining regular hendecagons (11-sided polygons) edge to edge. 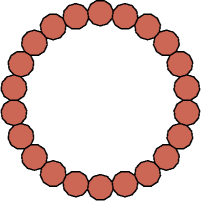 A Baiocchi figure is a figure formed by joining copies of a polyform and having the maximal symmetry for the polyform's class. 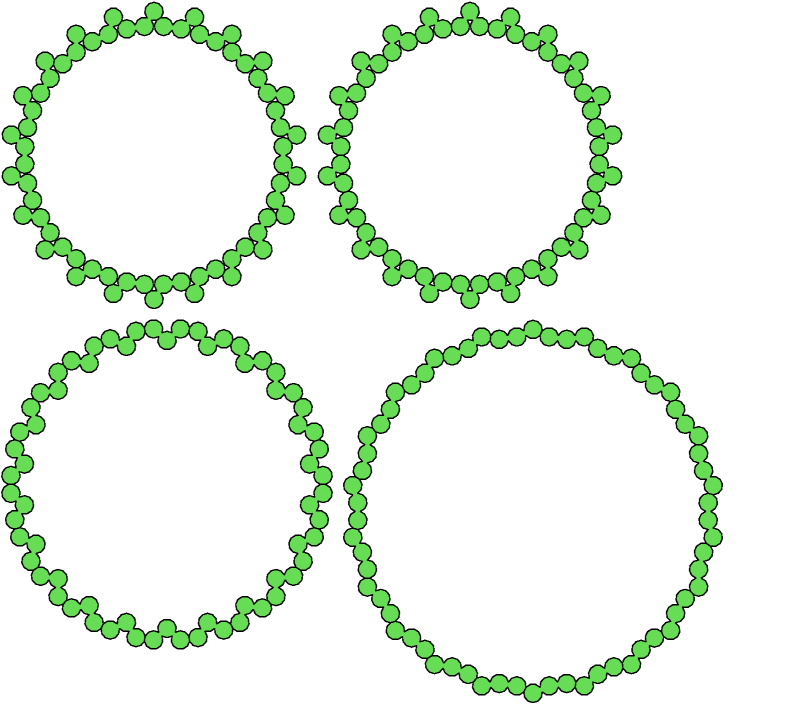 For polydecs, that means the symmetry of a regular hendecagon, or 22-way rotary with reflection. If a polyhendec lacks apothegmal bilateral symmetry, its Baiocchi figures must be Galvagni figures or contain Galvagni figures. Claudio Baiocchi proposed the idea in January 2008. Baiocchi figures first appeared in Erich Friedman's Math Magic for that month. Here are minimal known Baiocchi figures for polyhendecs of orders 1 through 4. Not all these solutions are uniquely minimal.